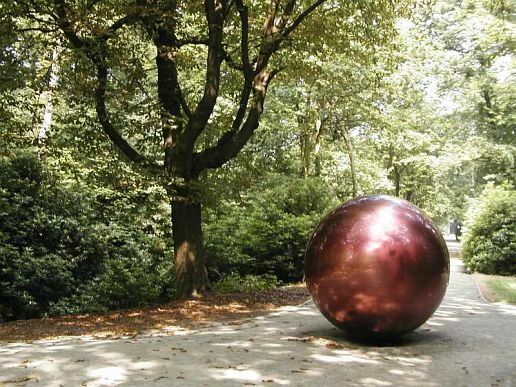 This big mirrored metal ball, that seems to have fallen from the sky, is a work of New York artist Corey McCORKLE. It was found lying about in the open air sculpture museum at Middelheim park in Antwerp, Belgium. Photo taken in the Summer of 2005.